Still, Bakrapur has more originality than your run-of-the-mill star-studded film. Now if only the goat could make a Bollywood career out of this, the satire would be complete. This is one of the most engaging satire's seen in recent times. Janki Vishwanathan's sequestered narrative manages to capture the right mood and moments to make this mocking bird fly even though it belongs to a realm that hasn't seen much creative success in Bollywood. 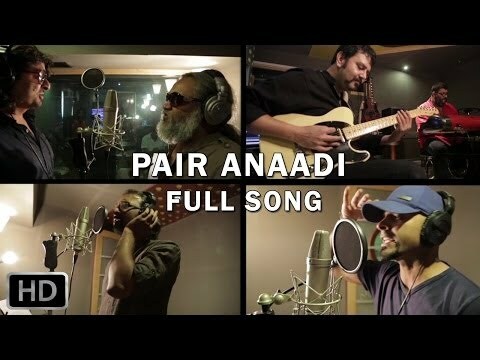 A metaphor on the communal nature of life in middle India, the film starts off as a social satire and ends up harping on the political nature of institutions meant to be otherwise. The so-called protectors of our democracy are shown-up as men with feet of clay, and it's all done with kid gloves on. So there's little room for any offence or disrespect. Gone are those days when female directors made films about female protagonists. Janaki Vishwanathan's protagonist is neither man nor woman. Yeh Hai Bakrapur has a very interesting premise and makes you smile. However it falls short of becoming a really good film. ‘Yeh Hai Bakrapur’ has been in the news for its hilarious trailers and its promise of a unique story line. 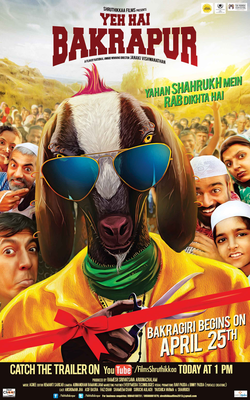 Based on the story of a goat interestingly named Shahrukh, this film has hit the screens today and so let’s see how it is. This Bakrapur makes a bakra out of those expecting something above the ordinary.